When viewing the component WatchList for an Index (e.g. S&P500) or an ETF (e.g. 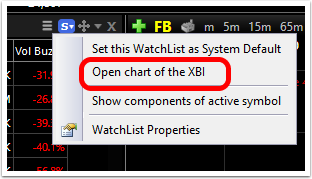 Select SPDR), there is a shortcut to open a chart of the Index/ETF in the WatchList Menu. 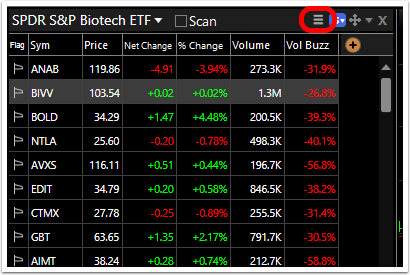 This allows quick access to the Index chart while viewing its component stocks. 3. 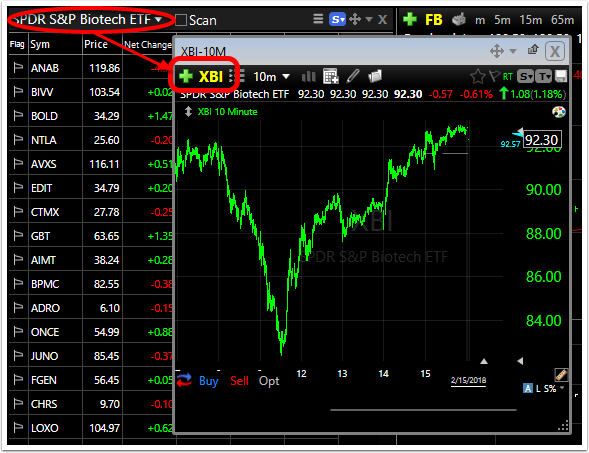 This opens a chart of the Index or ETF in a new, undocked tool window.